The Oyster® satellite system is easy to operate and provides a full range of programmes with fully automatic aiming within 30 until 60 seconds. 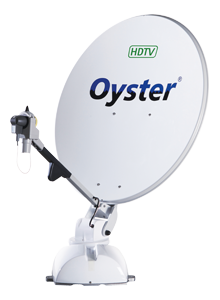 The 65 cm or 85 cm antenna dish of the Oyster® system provides TV and radio programmes throughout Europe, in Northern Africa and the Middle East. The innovative swivel-head technology ensures extremely reduced power consumption , lower space requirement and optimised mechanical load. The centerpiece of the satellite antenna is the LNB, which bundles and processes the satellite signals. 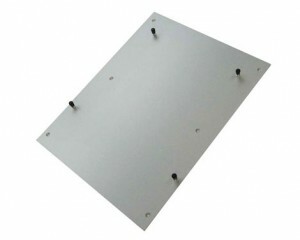 According to your individual needs , this high performance module is available in different variants . For example, if you want to use a second receiver, e.g. in the sleeper compartment. The TWIN-LNB allows two different programmes to be viewed using a second receiver. For optimal reception at the limits of the reception ranges in South-Western and South-Eastern regions, the LNB may have to be rotated in order to compensate the polarisation deviation - or SKEW angle - caused by the earth’s curvature. 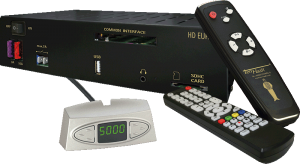 Designed for customers for whom an easy to operate, integrated HD receiver with full functionality is an absolute must. Reception of all free to air HD channels. Further to 5.000 presets for radio and TV channels, the receiver comes with HDMI, USB, Phono and headphone ports. The cable kit connects the satellite antenna to the receiver. It includes power cords for activating the system and a double-shielded satellite-capable HF cable. 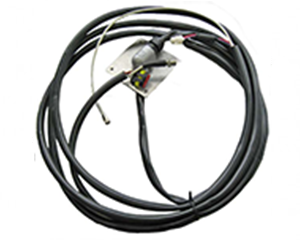 The cable kit can vary, depending on the model. Of course we deliver our products always with the appropriate manual.Thus you can read all settings and operations in detail.